Dubai’s jewellery retailers want you to look at their diamond options — this time they are offering additional incentives to make that happen. Starting this DSF, there will be separate coupons for diamond jewellery purchases, with weekly raffle draw winners able to drive away in a BMW. “The DSF series was wildly successful in establishing Dubai’s image as the ‘City of Gold’ — we are hoping the diamond coupons will have the same impact in creating a new image,” said Abdulsalam K.P., member of the board at Dubai’s Gold & Jewellery Group. Currently, diamond jewellery makes up around 15-20 per cent of the overall sales volumes generated by the local trade. For each purchase of diamond sets worth Dh500, a shopper gets to have a coupon. It makes sense for retailers to try and draw in more buyers to the sparklers. 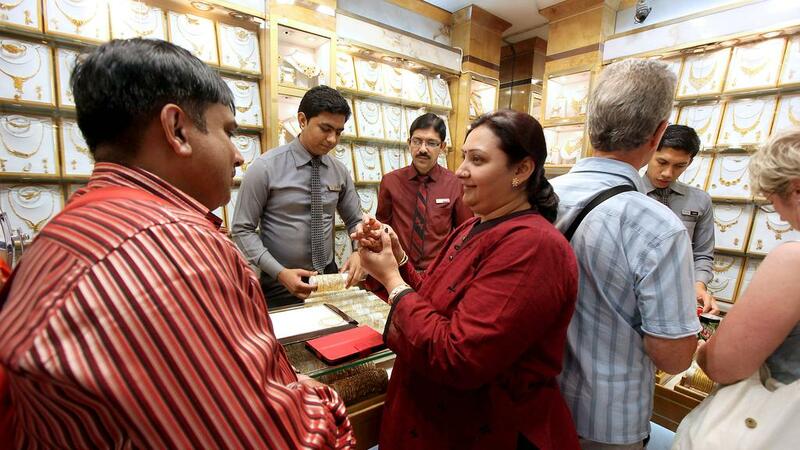 There is an impression that gold jewellery sales will continue to be volatile, and tied to where prices are headed for the metal and also impacted by local consumer sentiments. Plus there is the value-added tax (VAT) element, and domestic gold shoppers are still coming to terms with it.